In January of 2014 I met with my medical oncologist for the first time. Dr. Liudmila Schafer at UAMS, she explained there was no guarantee that we could beat this, but that we’d give our best shot. She ordered a new round of tests, blood work, CT, and urine workup to establish our new baseline. She also recommended we look into any clinical trials to see if new preventive methods were being tested. The one drug on the market, mitotane, can be very hard to take. 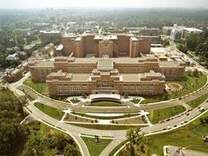 After doing some research we found two clinical trials at NIH in Maryland. We reached out to the staff and very quickly I was scheduled to travel up there. After going through another set of testing, I met with the doctor running the trials, Dr. Tito Fojo. Dr. Fojo had been studying ACC for several years, so his insight was valuable to me understanding how serious this cancer could be. After reviewing my pathology results I was disqualified from either clinical trial. The KI-67 index was too high and I met a large number of Weiss, so we made the decision for me to start mitotane. From March 2014 until January 2016 I was on mitotane and all scans and follow ups were clear. However, in January, a spot showed up on a follow up CT. After having a biopsy done it showed that the ACC had returned and spread. This time we begin looking at new clinical trial being conducted at the University of Michigan Cancer Center. The drug in question is called ATR-101 and it had shown great promise in the lab at treating adrenal cancers. In April I started ATR-101 at an extremely high dose (10,500mg per day). It was extremely hard to tolerate, with me almost being barred from flying home at one point. However, it was only 21 days so I pushed through. Through my 6 cycles (each cycle was 21 days) my dose was adjusted downward and the cancer was stable for the first 4 cycles. However, at the end of cycle 6 the cancer had grown enough that my doctor, for trial purposes, determined it was progressing again, and I was removed from the study. 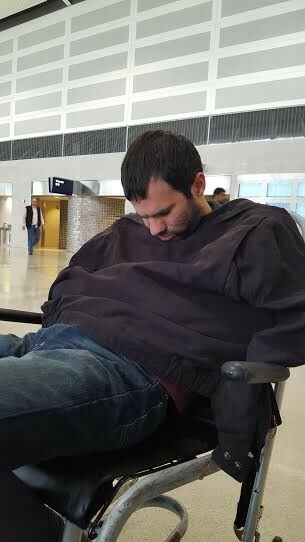 American Airlines almost decided I was in no condition to fly, they may have been correct. I returned to UAMS for treatment and immediately had a heart scan (to ensure I could handle chemo) and had a port-a-cath put in. At the end of October I was admitted to UAMS for my first round of chemo, the drugs were doxorubicin, etoposide and cisplatin. This chemo routine can be extremely hard but I mostly seemed to tolerate it. In between my first cycle and second I did get an infection at my port site that caused me to spend an extra 4 days in the hospital, but that was the worst of it. After 2 cycles a CT showed the spot was still growing, so we again had to change treatment plans. First we did an Y90-radioemblazation, and I am currently on a chemo routine of gemzar and gemzar/docetaxel. The Y90 is a radiation procedure where tiny glass beads filled a radioactive isotope are fed directly to the tumor by inserting a catheter into the femoral artery. The gemzar and docetaxel is currently a 21 day cycle, with me getting gemzar on day 1 and then gemzar and docetaxel on days 8. The gemzar is generally well tolerated with few problems. Docetaxel has caused me to retain massive amounts of fluid, generally feel crummy with joint pain. Tuesday, the 14th, I had my infusion and have an MRI set for the 27th. At that point we will know how effective the new treatments have been. 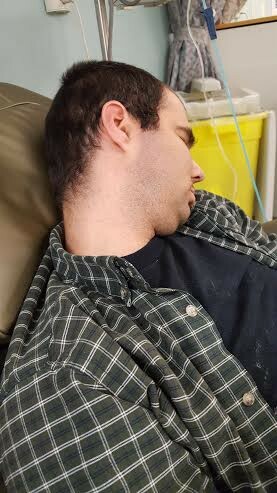 Chemo time makes for a good nap time, always best to multi-task. I will making a vlog about this too, I’m hoping to get the first video uploaded in the next day or two. Just a regular guy detailing his fight with cancer.